Hi! Welcome to my site! 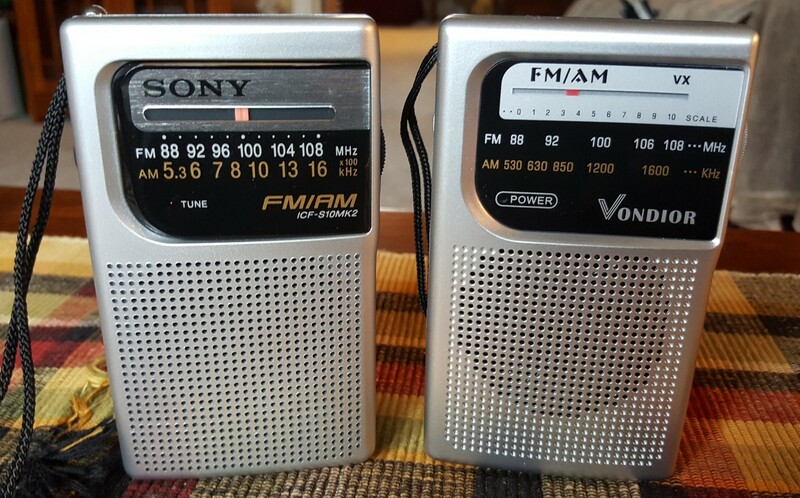 I’ve worked in broadcasting and electronics all my life and have been interested in portable transistor radios since the early pocket portables of the 50′s through today’s multiband radios. For 26 years I worked for CBS Radio as Production Director for one of its station clusters and I previously managed a repair facility for an audio shop for 18 years back in the 70’s and 80’s. Please feel free to email me with any questions or comments. If you subscribe at the bottom of this page you will be notified whenever new articles appear. You Can Help Support The Continuation Of This Free Website At No Cost To You By Using Amazon Quick Links – they are found at the end of each new product review and on a tab at the top right of this Home Page.. 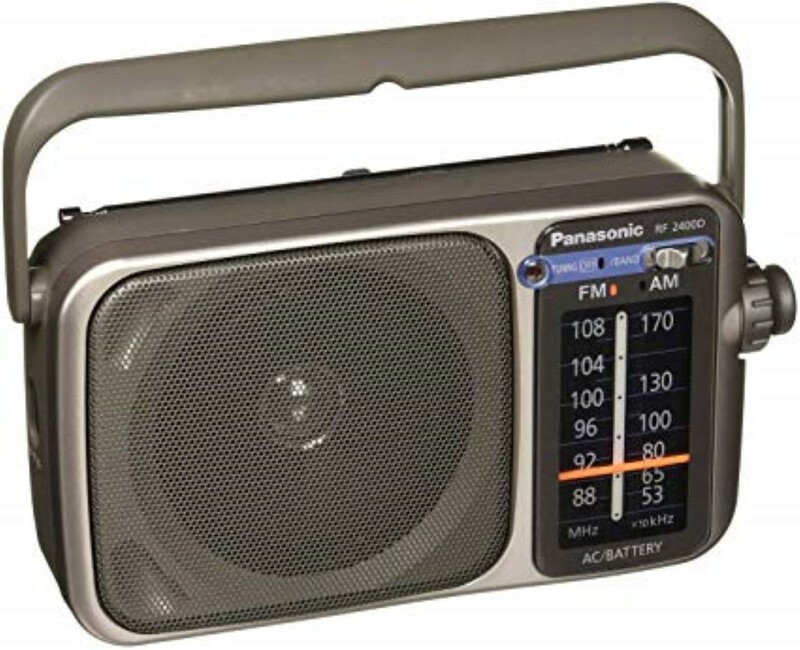 This page contains links to many radios and radio-related products at Amazon.com. I ask you to visit this page for all of your Amazon shopping – if you buy anything through these links you will not only be getting the best prices Amazon offers on a world of products but you will also be helping to support the continuation of this free website and it won’t cost you anything. 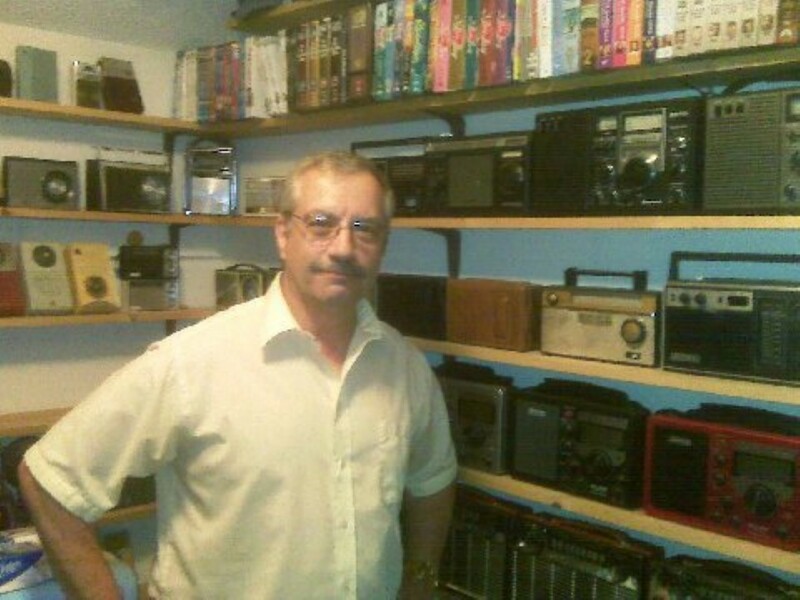 I have personally bought many of these items and continually search for things of value to radio lovers and always welcome any questions or suggestions you care to send me. Anything you buy during your Amazon session which started through one of these links will contribute to this site. 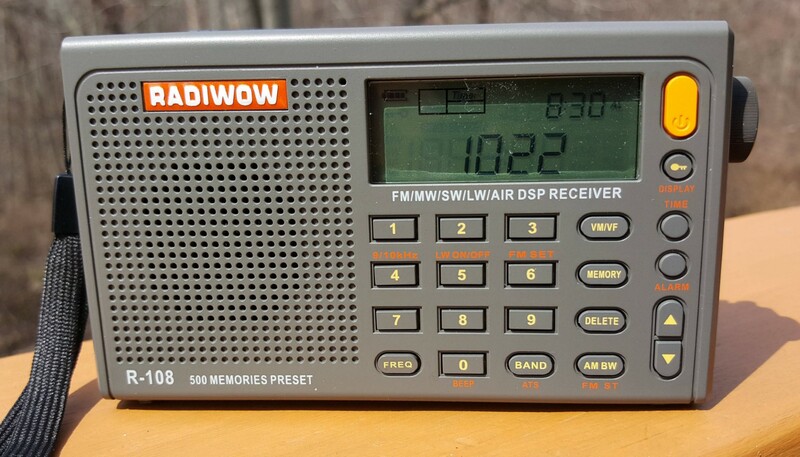 For those of us who follow the market of old and new radios, the arrival of the Radiwow R-108 was somewhat of a surprise. Nothing to do with the little radio itself, but rather how it came to be in the first place. It’s not a bad little performer, but it has a colorful backstory. 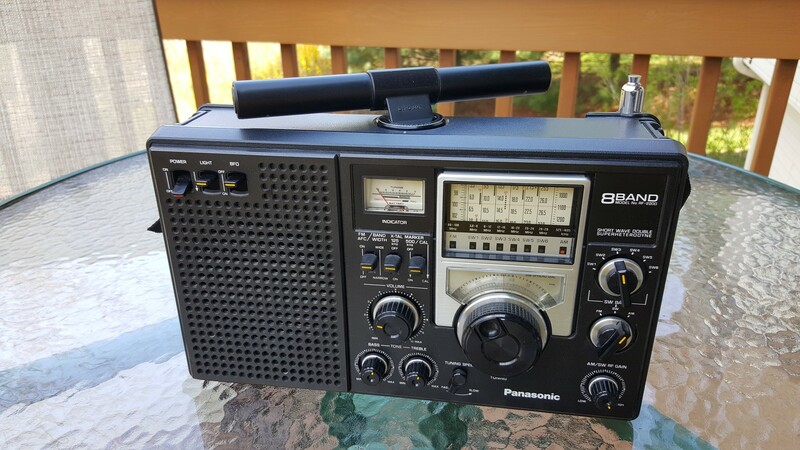 The Panasonic RF-562D is one of the more interesting, relatively inexpensive new radios I’ve discovered recently…I found mine on Amazon for $48.99. It offers a leather-like carrying case which allows you to use the radio while in the case…something almost all radios used to offer in the good old days. It is also one of the few remaining true analog radios being made today with no DSP (Digital Processing) chip. As such it has both strengths and weaknesses and it depends on exactly what you want to listen to whether you will love or hate it. But in today’s market place it may be a one-of-a-kind radio from Panasonic, one of the truly iconic names in analog radios of days gone by. 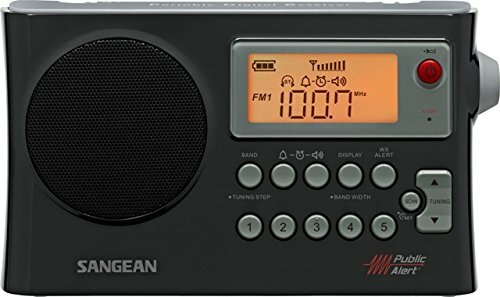 What’s the best radio for AM reception? 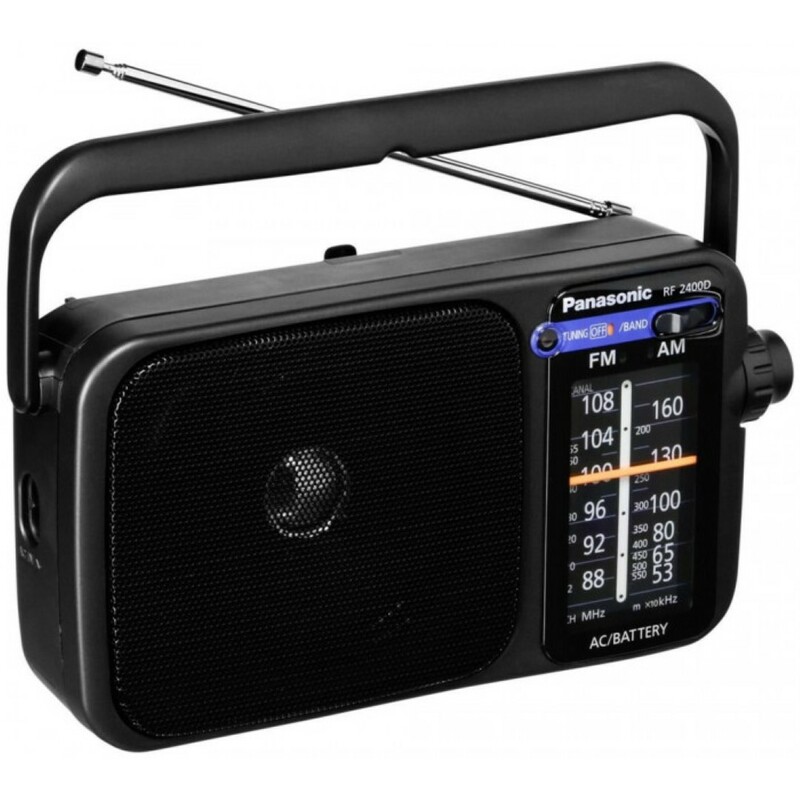 Do more complex multi-band radios provide better AM reception than a purely AM or AM/FM radio? 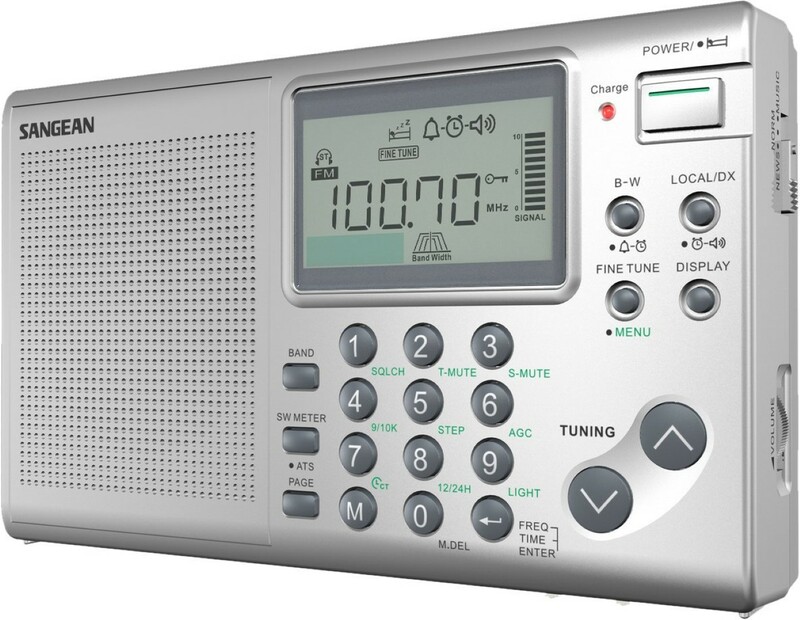 Wondering how the most popular radios compare? Here’s the latest update to the biggest AM Portable radio comparison project I’ve ever done and one of the most expansive you’ll find anywhere with radios put through rigorous performance tests to see exactly how they compared in a variety of circumstances. I also describe my testing methodology to help you understand the results and do your own comparisons more accurately. Since last year’s update many new radios have become available, some with improved implementation of DSP (Digital Signal Processing) technology. 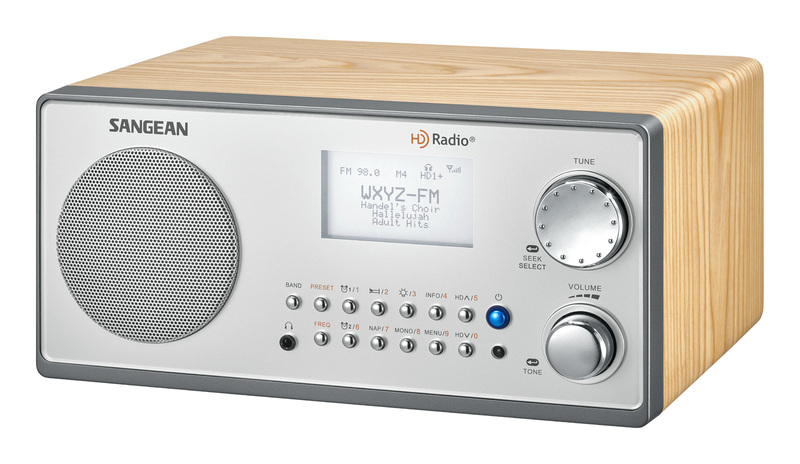 Do these new radios outperform the great vintage radios? Can they match them? In addition to the many new entries in this survey several others are in-house under-going testing and more vintage sets are under-going rehabilitation so they can be included…these will be added to the list in the coming weeks and months as well. This report is constantly evolving so please check it often for updates. I have been receiving more and more questions about FM performance and have now incorporated FM comments in these ratings, although in this article the radios are still rated based first on AM reception. For more details on FM performance be sure to check out the FM Mega Shootout Article which is being updated now. In you sign up to follow this website at the bottom of this home page you will be notified when new articles are posted. What’s the best AM Radio? Here are the facts you need. The Panasonic RF-2400D is an upgrade to the original RF-2400 and is externally identical to the first version. It is available in silver or black and has a street price the same as the original at about $30. The RF-2400 generated lots of interest because of the Panasonic name. 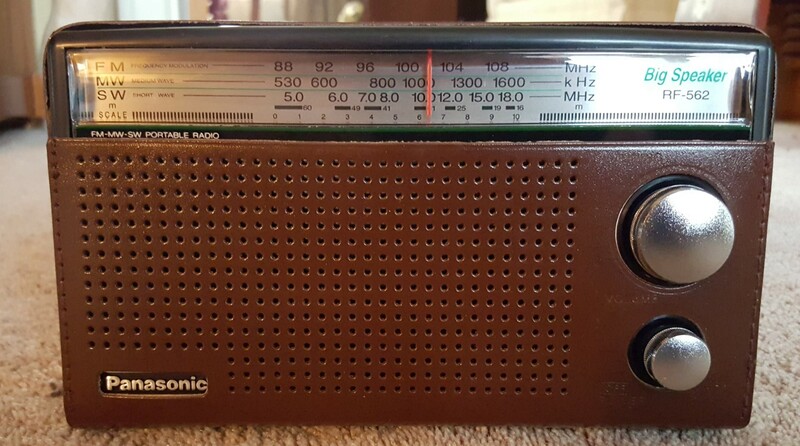 Definitely a no-frills set the RF-2400D is a basic AM/FM portable radio with a pleasing retro look and a large slide rule tuning dial. At its price it offers good utility where maximum performance is not needed nor expected. 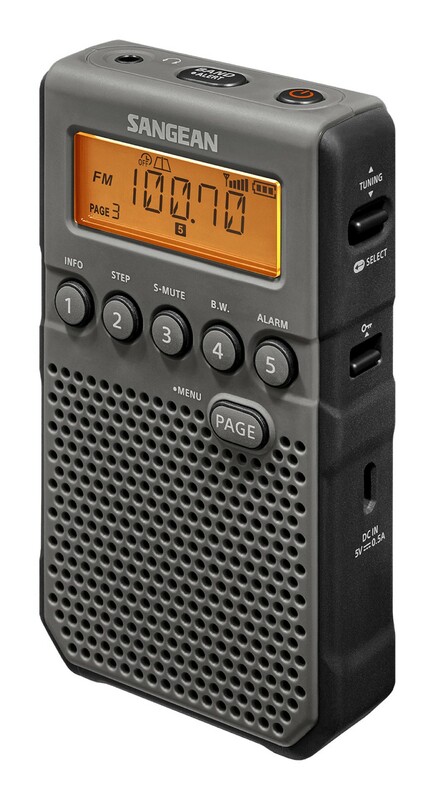 Controls are basic – and it is a cute little radio with a convenient folding carry handle which also acts as a support to rest the radio at an angle if so desired. Regarding the updates from the RF-2400 to the RF-2400D one could assume the “D” means DSP…I did not try to confirm nor deny that, but it does tune like a DSP/analog design with discreet steps as you tune. For me the proof of the pudding is to see how this new model performs and how it compares with the original version. So let’s find out! The HDT-20 is one of very few component HD tuners currently available, with an average street price around $155 it is the only component HD tuner anywhere near its price. With the popular Sony XDR-F1HD discontinued, Day Sequerra is the primary alternative and their models begin at ten times the price of the HDT-20. Every HD radio I have tested previously has been either a portable or table model and although most of these can feed an audio output to an external amplifier, none were created as a true component designed to be used as an audio source for an external audio system. But exactly what are the specific advantages of a component style HD tuner compared with a stand-alone radio? The HDT-20 is designed to easily interface with any home audio or audio/video setup with standard RCA Line Out jacks along with SPDIF Optical and Digital outputs for maximum connection flexibility. It’s large front panel and clear controls make it easy to master and use. 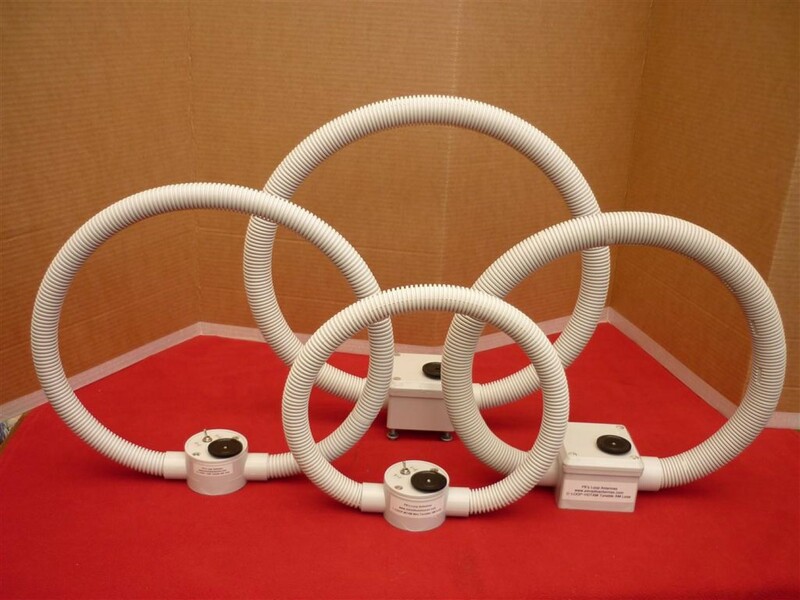 And theoretically a component may be designed for maximum performance compared with table or portable models which stress convenience over ultimate quality. I’ll put the HDT-20 through its paces and see just how well it does. 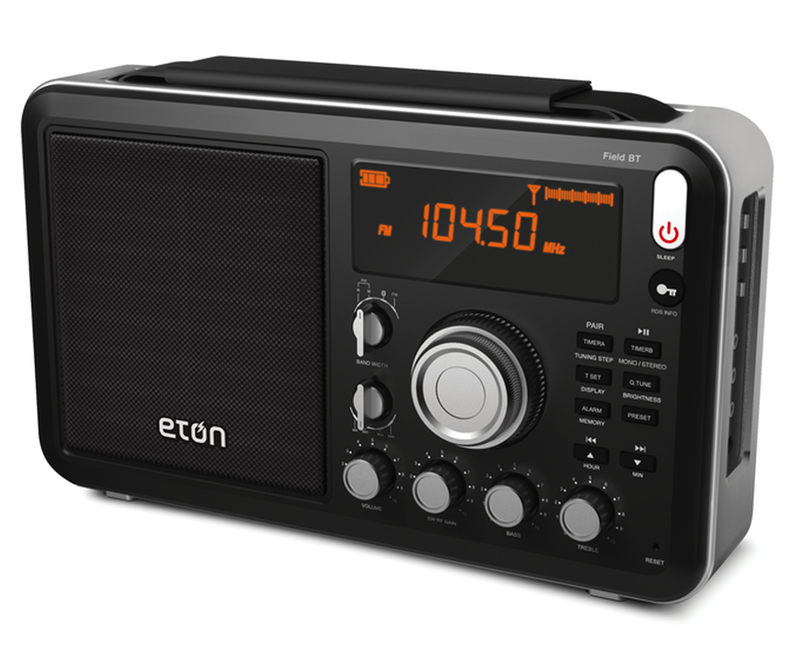 As of December 2018 the Eton Field BT has been upgraded and is somewhat improved over the originally released version. I can’t tell you just when these improvements took place but you can identify the new model by the fact that the words “Grundig Edition” have been removed from the front panel…the newest version simply says Field BT at the top right. Otherwise the radios are externally identical. The original release was a top performer and a great bargain in almost every way, with excellent FM and SW reception and great sound. But there was a serious problem with the AM band…at the top end of the band the volume of weaker stations dropped way down to the point where I could receive almost nothing. It was so bad I assumed it was defective so I bought a second sample – the second unit was a hair better, but not enough for me to keep the radio. Now Eton has upgraded the ‘BT. The new version does perform better than those two older ones so I have updated the review to reflect the changes. And a comparison with other models from the original Pocket Portables review still available including the Kaito KA-200/Degen DE-333, Sangean SR-35 and Sony ICF-P26. It’s been a while since I compared pocket-size portable radios. Since then some models have unfortunately disappeared but many new ones have appeared. These small radios will fit into a large pocket but they still vary considerably in size with some literally half the size of others, so choose accordingly. As a group they remind me of the old “transistor radios” we all carried with us in the 50’s and 60’s. 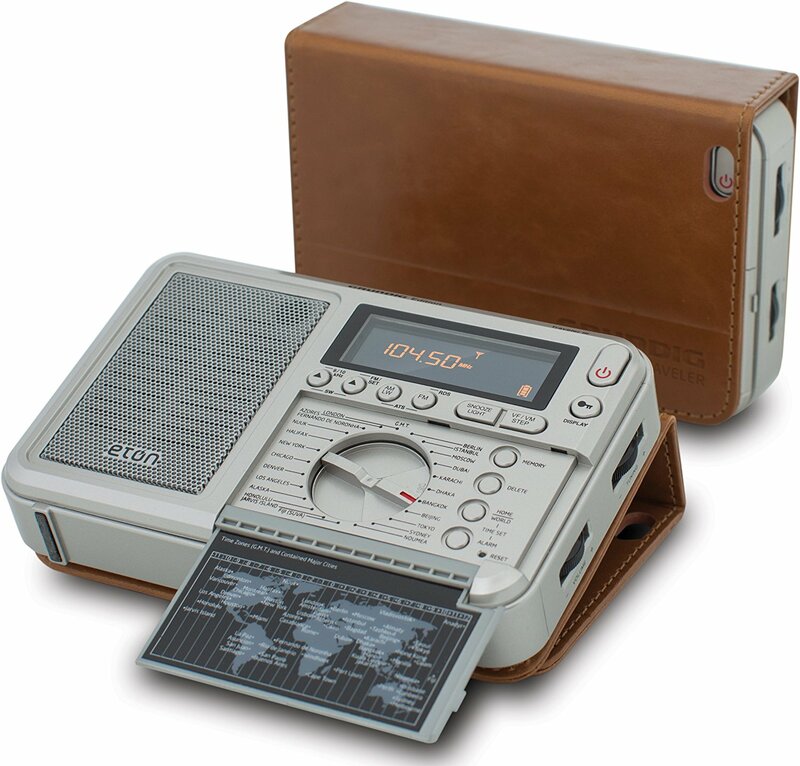 Of course, today’s pocket sets bear no internal relationship with those all-analog sets of old. The most interesting thing I found is how much these pocket radios vary in their areas of strengths and weaknesses and there’s no way to know which are best on AM or FM reception or which sound best without comparing them to each other. Some are better on AM, others are better on FM, and some have more balanced sound than others. While no one expects top grade performance from a $10 to $20 pocket portable, picking the right one can make all the difference depending on what is important to you. And one new Chinese offering is an obvious copy of a very popular Sony model which is now discontinued. How does the clone perform compared with the original? I was frankly surprised and think you’ll find the results interesting. 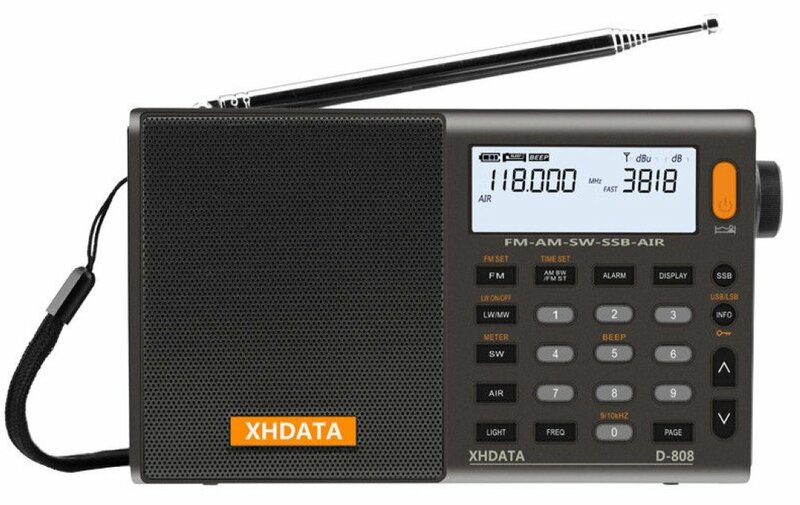 The XHDATA D-808 was born as a result of the sometimes strange state of affairs in Chinese manufacturing today. The story goes that it was derived from the Redsun-designed C. Crane Skywave SSB. In China today there seems to be no protection from theft of intellectual properly…there is no patent protection. Presumably to prevent conflicts with US-based C. Crane the D-880 cannot be sold directly to the US but it is now available here on eBay shipped via Tel Aviv. It is based on the same Silicon labs DSP Chip as the Skywave yet has several differences. It omits the NOAA Weather Band of the Skywave but adds FM RDS. 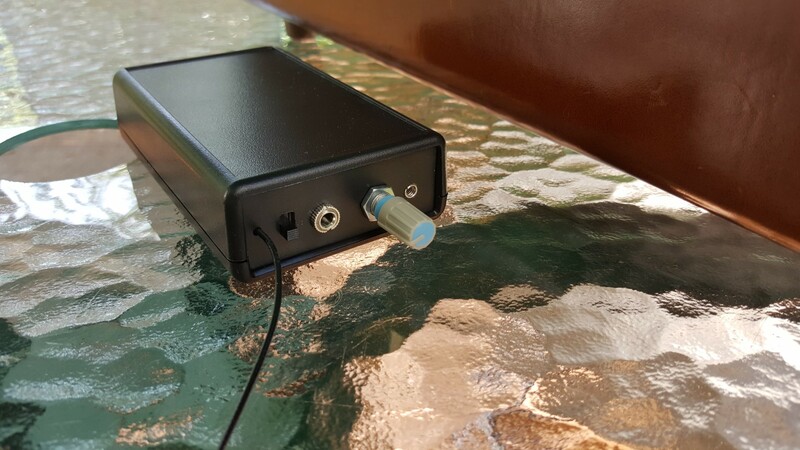 It also is built into a slightly larger cabinet which allows improved sound quality and a larger AM ferrite rod antenna. We’ll put the XHDATA thorough its paces and compare it directly with the Skywave SSB and several competing travel-sized radios. I have just received the latest update of the CC-EP-Pro and it has been improved over the original model. As of this date this is the version being sold so if you buy one now you will receive this upgraded version. 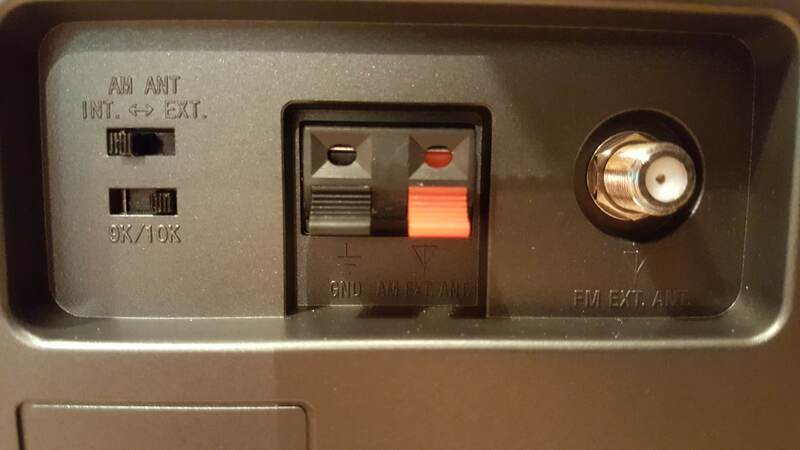 You can identify it by the presence of an additional slide switch on the rear panel beneath the Ext/Int Antenna switch, and it is labelled 9K/10KHz. There two other enhancements that help make the newest CC-EP-Pro even better than the original. I’m glad to see that C. Crane is working to continually evolve and improve their products…the EP-Pro is indeed today’s Superadio and it merits your serious consideration. Read the revised CCC-EP-Pro Review here. Although not a new model on the market I wanted to try one of these because I was looking for one specific capability which none of my other small mp3 player offers – the ability to scan forward or backward within a track. All the portable players I have seen (and I’ve seen a few nice ones) only let you select a track – none let you search or scan within a track. This is a big problem when listening to half hour Old Time Radio shows which is what I often use my player for. The DE29/KA29 does offer this feature so I bought one to check out. Currently $36 at Amazon let’s see how much Degen/Kaito have packed into this cute little box. I also uncovered an undocumented feature that could be crucial. 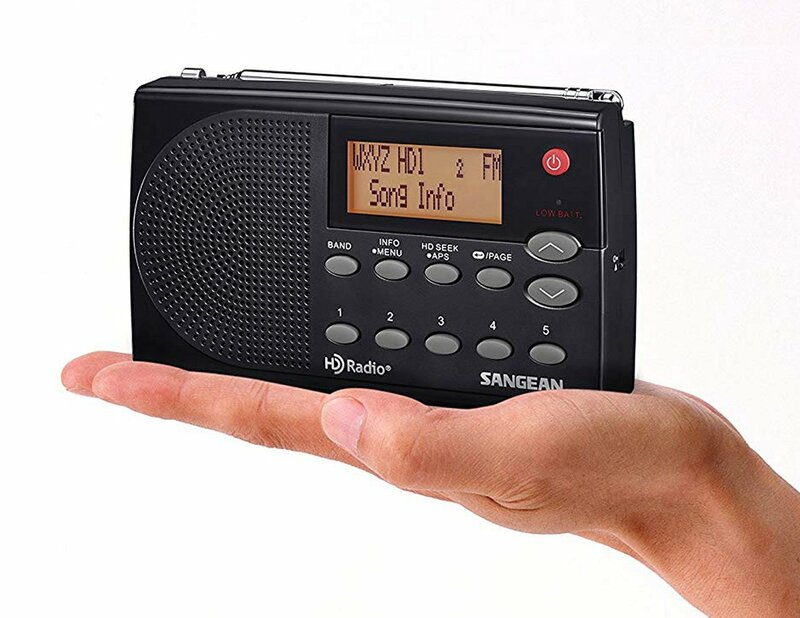 The Sangean HDR-14 is a small, travel-sized AM/FM portable radio offering HD and RDS reception. As far as I know this is the smallest radio to offer both AM and FM HD at this size and at a street price of $79.99 ($99.95 list price) it is a bargain to boot. We’ll put it through tis paces and see how it compares with its larger brother HDR-16 and other HD portables. If you are a home broadcasting enthusiast you have probably been disappointed that your personal “radio stations”, while being lots of fun, never sound quite as good as the professional stations. Of course, the transmitters themselves have limitations but one of the biggest differences is in the audio processing ahead of them. Radio stations use very sophisticated, expensive audio processors, such as Orban’s Optimod line which are way beyond the reach of home hobby broadcasters. Now, the Cuthbert 6 Channel/3 Band Audio Compressor, which was pattered after the Optimod, brings the home user surprisingly close to that level of performance for $159. My single word description for it is “Amazing”! As a lifelong professional and home hobby broadcaster I was excited to learn of a new kid on the block, the Cuthbert AM Transmitter. You can find this and other electronics goodies Sean sells on eBay if you search “AM Stereo Transmitter” – his seller name is sean-jcil. Sean graciously sent me his AM Stereo C-Quam model for evaluation and I found it to be a very cool addition to my home setup. But how well does it stack up to my long-reigning reference AM Transmitter? Perhaps one of the most iconic multi-band portable radios of its time, the Sony ICF-2010/2001D enjoyed one of the longest production runs of any radio, being manufactured from 1985 to 2002. The US version was called the ICF-2010 while ICF-2001D was the model number used in the rest of the world…there were 6 versions sold in different areas. It’s is fairly well accepted that the “2010” was among the best of its day, but how does it compare with the best SW portable radios made today? We’ll take a close look, compare it with the competition and see just what made the 2010 so special. A much-anticipated addition to C Crane’s extensive (and excellent) line of portable radios, the new Skywave SSB is a worthwhile upgrade to the popular and still available CC Skywave. 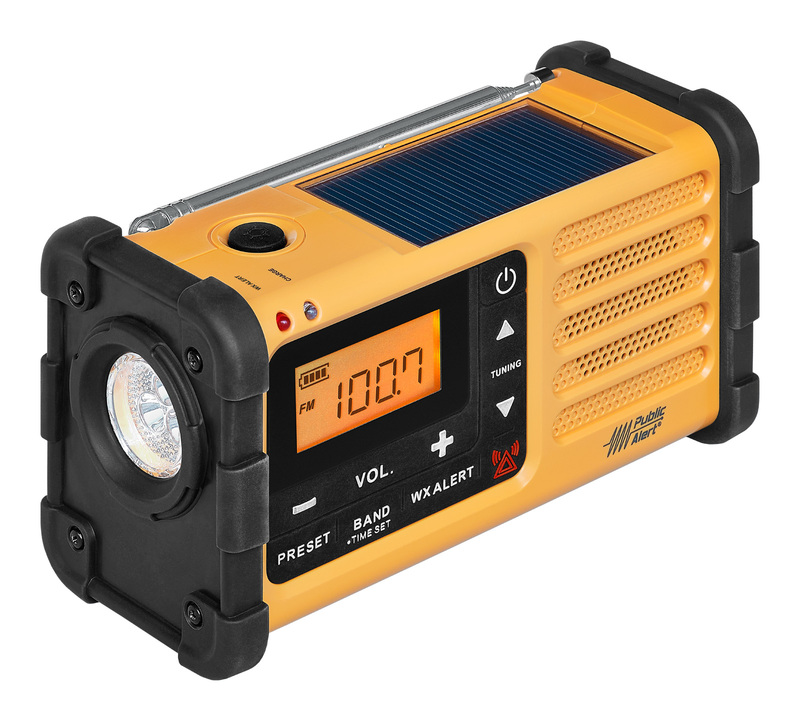 The initially announced price of $169.99 has been reduced to $149.99 which includes a carry case, reel-up antenna and CC buds, which represents a great price for a radio with all the capabilities of the Skywave SSB. 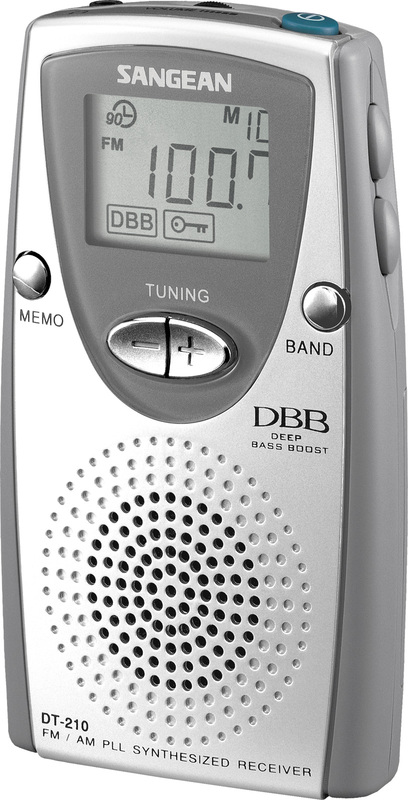 The Skywave SSB really is the “Swiss Army Knife” of portable radios, utilizing not one but two DSP chips in order to cover not only standard AM/FM/SW but also NOAA Weather and Air Band, and now with the addition of SSB -Single Sideband Reception, in a small size which is ideal for the traveler. We’ll put the new model through its spaces and report on how it performs. The small size and low prices are the big attractions and it is interesting how strong their family resemblance is – they look like the same basic design which grows from smallest to largest. But how well do they perform? 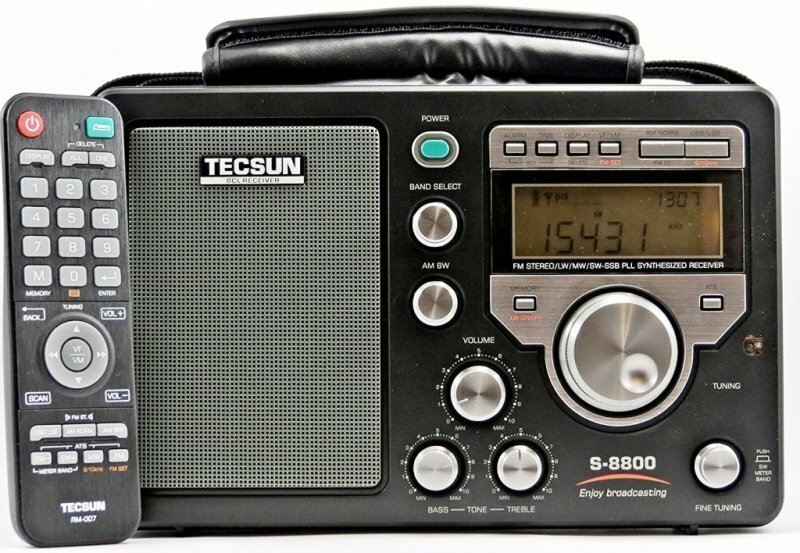 The long wait is over – the new Tecsun has hit the streets and will no doubt garner lots of attention among radio listeners everywhere. In an age where manufacturers seem to be producing increasing numbers of inexpensive radios of every conceivable description this new Tecsun clearly takes aim at what has become the high end of the portable radio segment. The inclusion of a remote control sets makes it unique but at prices near $300 delivered purchasers will be expecting top performance. This report will describe exactly how well Tecsun did! What started out as a review of a single Sony model, the ICF-506 has evolved to a comparison of three Sony portables; the ICF-506 – ICF-19 and ICF-801. The ‘506 and ‘19 are very similar models but with some significant differences while the ‘801 is a completely different animal but with some very different strengths and weaknesses. 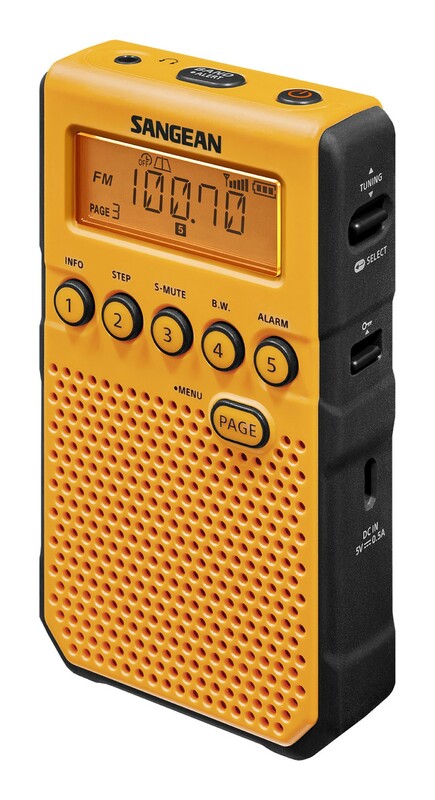 All are very good performers in this category of paperback book-sized AM/FM portable radios, but again, their differences will be important in your choice of which one might suit you best. 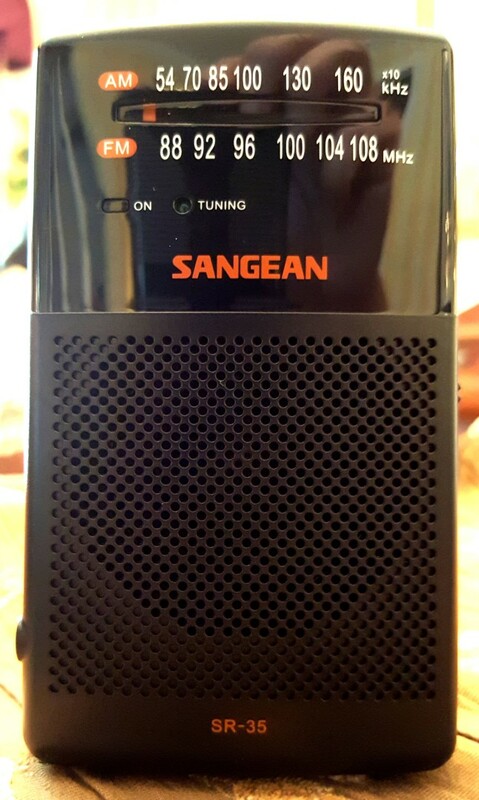 The latest pocket portable from Sangean competes directly with their excellent DT-160. But the DT-210 is an entirely different design and is in many ways very different than the DT-160, yet their street prices are virtually the same. How do they compare – which one is best? Read The Sangean DT-210 Review. Buy It On Amazon and help support this free website. 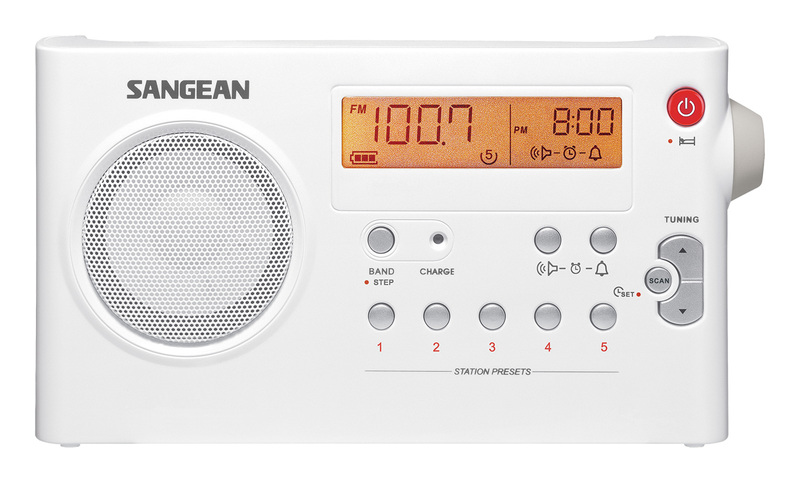 Sangean MMR-88 Emergency Radio – One of the nicest radios of this type I have seen, this one has it all from Solar, Crank or USB charging to DSP Digital Tuner, Cell Phone Charging, NOAA Weather with Alert and more. 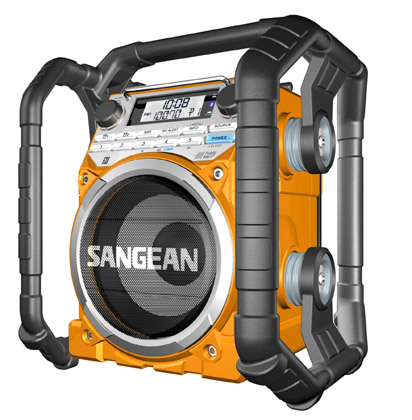 The new Sangean U4 Rugged/Jobsite Radio offers powerful audio to fill outdoor areas and features Digital Tuning with all the usual features such as presets, alarms and timers, Bass, Treble and Loudness controls, FM-RBDS with Auto Clock Set, AM, NOAA Weather Band with Alert, Bluetooth connectivity, Aux-In and built-in AC power with Smart Charging capability, all in a rugged, rainproof cabinet. We’ll take the U4 outdoors to see how it performs. 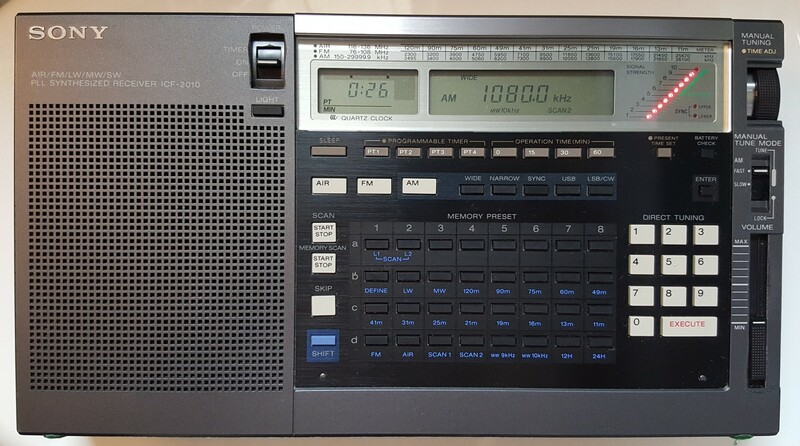 Panasonic RF-2200: As a long-time radio enthusiast, I had for many years read about the legendary Panasonic RF-2200. 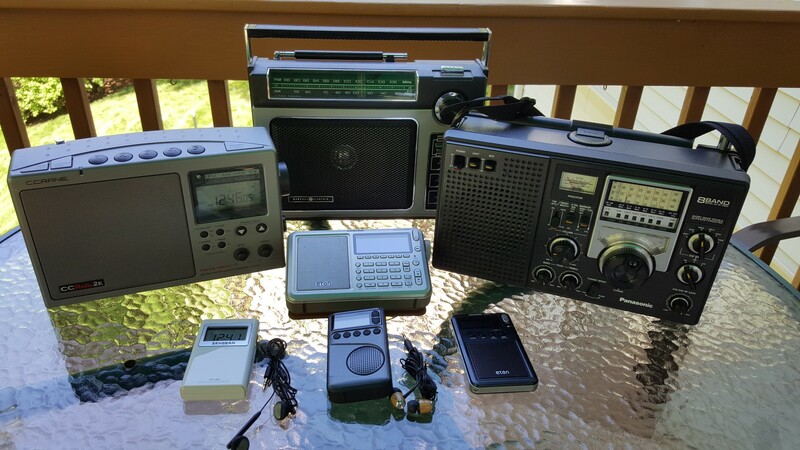 Several sources refer to it reverently as “The Holy Grail” of AM analog portables, while others, more conservatively, simply say it’s “the best AM portable radio ever made…a DX-er’s dream”. Strong claims to be sure. It also has an excellent FM tuner. Few radios remain at the top of a short list of favorites and since the RF-2200 is arguably as well-respected as any portable for AM performance I wanted to bring the review into a modern context. This is an update of my original review written 14 years ago. Many new radios have emerged, many with decidedly mediocre performance, but a few with superb performance and it seemed like a good time to report on how the RF-2200 fares against modern competition. FM Portables Mega Shootout: With the advent of DSP (Digital Signal Processing) chips several years ago portable radios have greatly improved in overall FM performance. We’ll take a look at several of today’s radios to compare their FM reception and we’ll throw in some vintage receivers as well to see how they stack up. We’ll also provide a Quick FM Glossary to explain some of the technical aspects of FM reception and to help describe some of the things we look for when comparing radios on FM. Eton/Grundig Executive Satellit: Eton has upgraded the Satellit with a new color scheme and integrated leather case but have given no clues as to whether that is where the differences end. The original Satellit is one of my favorite travel-size portables…are there any internal updates that make it worthwhile to get the new version if you already own the original Satellit? It seems that we waited a long time for the HDR-16 to come to market – the pre-release announcements generated much curiosity and internet buzz. Now that it is here I can tell you that in many ways it is what I hoped it would be. Although there have been previous HD portable radios most if not all of them only received FM HD broadcasts, not AM. The HDR-16 offers AM HD reception in addition to FM HD along with several other welcome features. I was also curious to see how the new model compares for basic AM/FM reception with some other top portables which are familiar benchmarks. 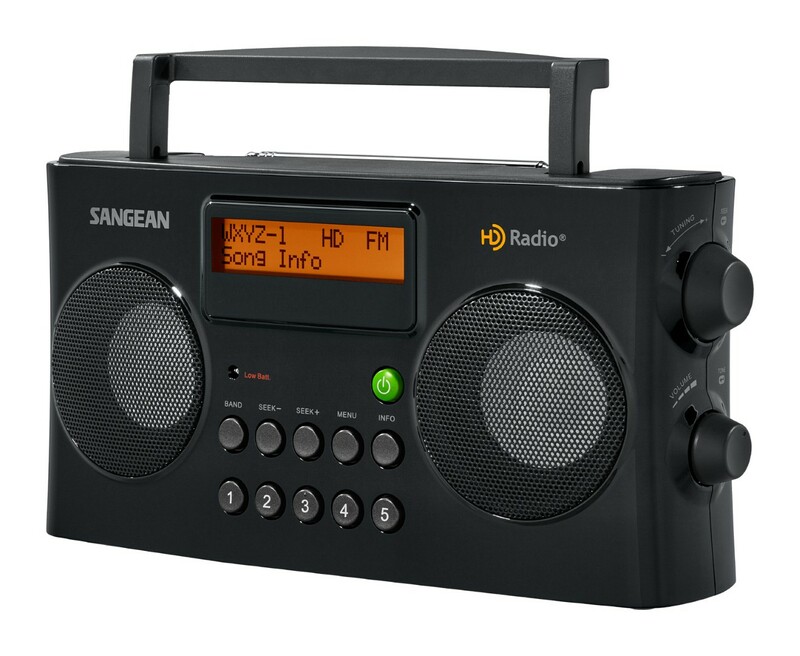 The Sangean HDR-18 is a new DSP-equipped AM/FM HD tabletop radio in a wooden cabinet with many features and enhancements designed to make the user experience a pleasant one. The radio had a few surprises in store for me…pleasant ones. It is a solid performer and in some ways it advances the State-of-the-HD Radio art, outperforming earlier HD radios I’ve tested. 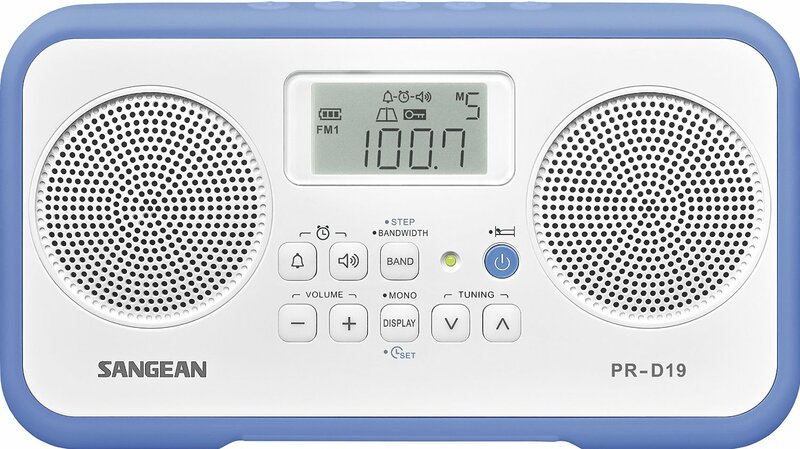 I’ve just spent a few weeks getting to know the new Sangean DT-160 AM/FM DSP Pocket Portable Radio and it is a little gem. 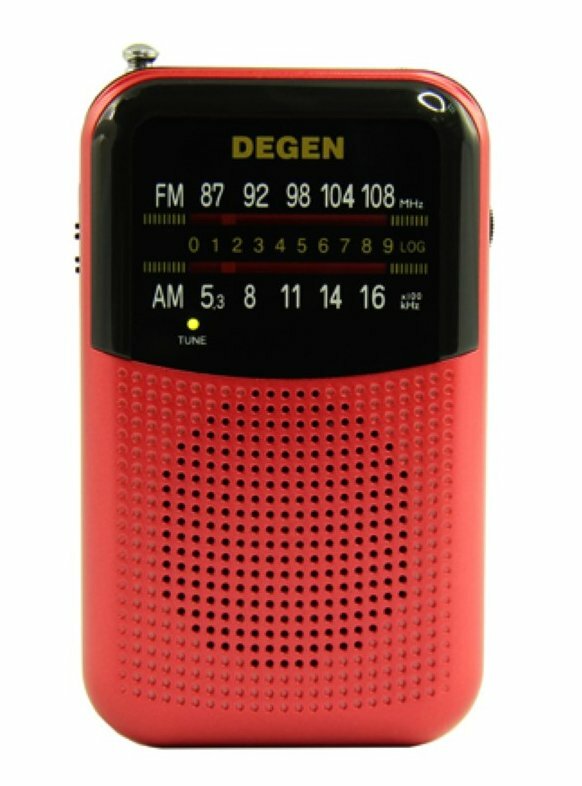 It features excellent FM performance and good AM performance for such a small radio, is easy to operate and sounds great. And at its current street price of under $45 at Amazon (see it here) it is a real bargain. 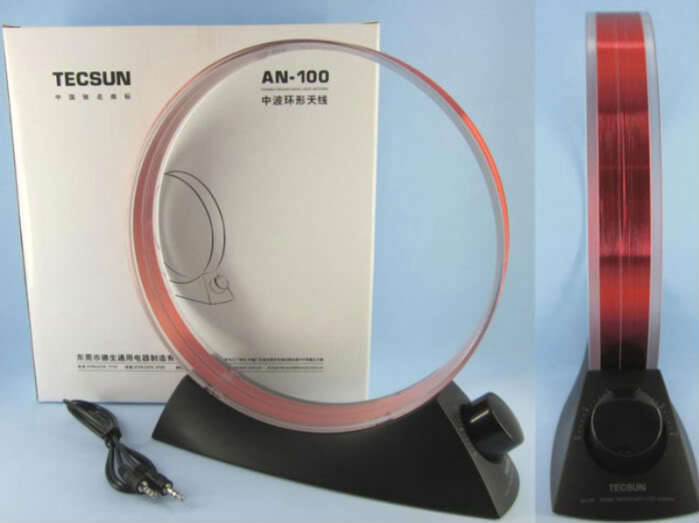 The Tecsun AN-100 is also sold in other areas as the model AN-200 which appears identical in every respect except for the style of the plastic base…they can be found under the names Grundig and Kaito as well as Tecsun. 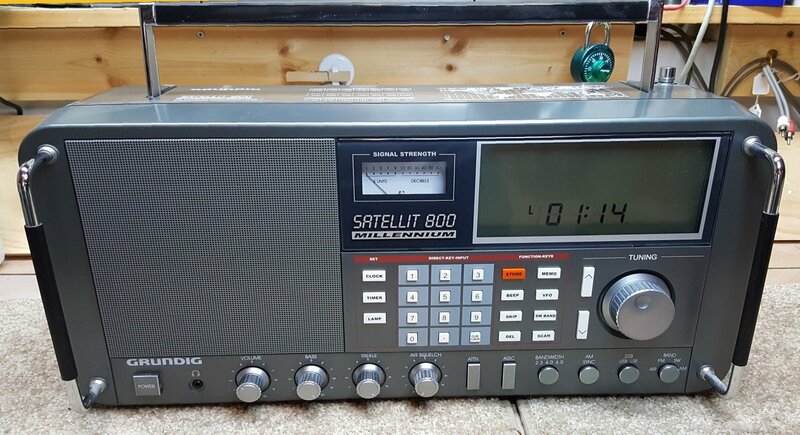 It’s hard to believe how many years it has been since the Grundig Satellit 800 was released…the name SAT 800 Millennium on the front panel reminds us of that. One complaint about the receiver has always been its lackluster audio quality and specifically, it’s lack of bass given its large size. While not exactly bad sounding it certainly lacked the bass extension and punch it could have. There were a few “modders” back in the day who managed to get better sounding speakers transplanted into their 800’s but there are now more speaker choices available which offer not only direct drop-in-replacement with no modifications needed (they fit exactly as the original speaker did) but which also offer improved frequency response and efficiency…they are able to play as loudly as the original speaker with the amplifier power available in the Satellit 800. In this upgrade report I’ll not only recommend a specific replacement speaker but I’ll also take you step by step through the replacement procedure which will reward you with a much improved sounding Satellit 800. Having previously tested several Sangean radios such as the PR-D5 and PR-D15 which offered great AM reception at bargain-basement prices but which were hampered by less-than-wideband audio I hoped the PR-D4W might be a real step forward, and in many ways it is. 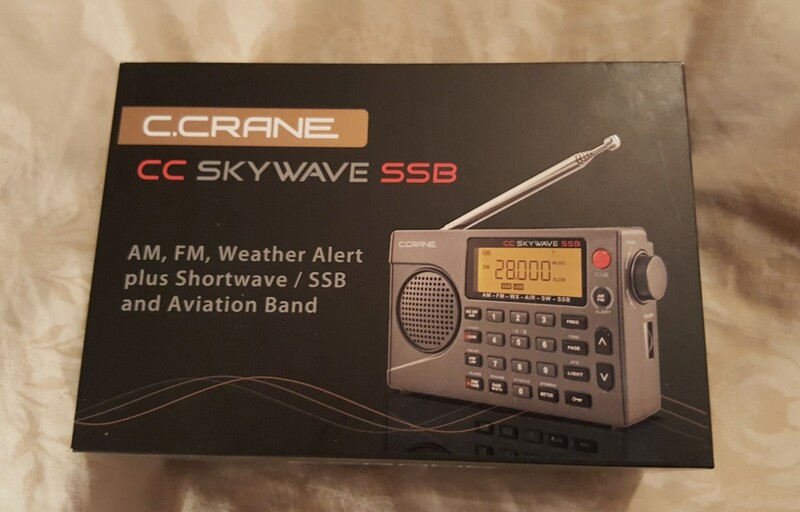 But always cautious when I read claims of how a new radio matches or beats radios that time has shown to be near the limits of what is achievable on AM or FM I was eager to put it up against my hottest portable radios…such as the C. Crane CC-2E. So at today’s state of the art what can you get for under $70? The new PR-D19 is available in Blue/White or Gray/Black and is the logical upgrade to the well-received PR-D18. The new PR-D19 adds stereo FM and with its dual speakers is a slightly larger radio, but is the addition of stereo FM the only change? Or are there are there other areas of performance which have changed? The full review is now posted…read it here. 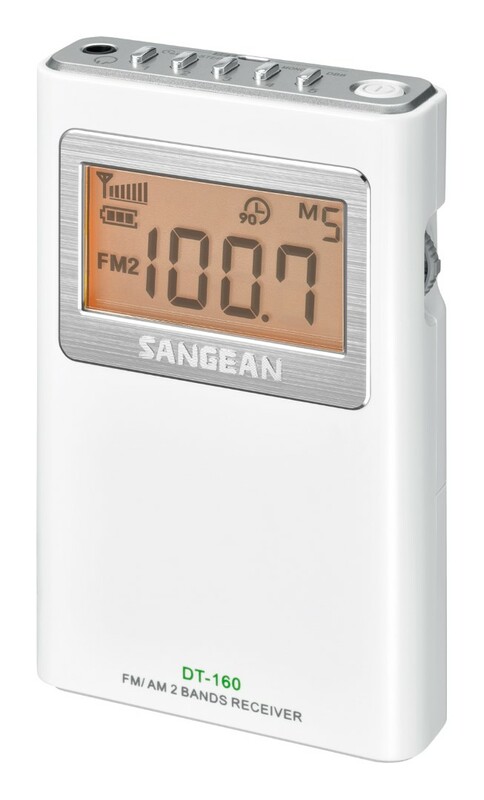 Sangean has upgraded its ATS-404 with the new ATS-405 portable radio and I was excited to find that this new model offers several important new features. 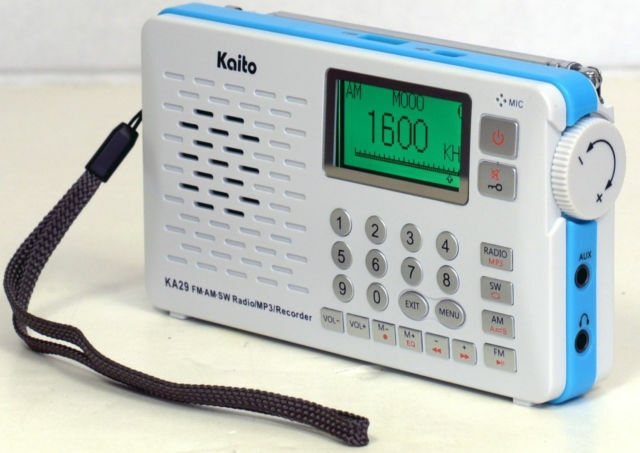 Externally the two models look quite similar but internally and operationally this is a completely revamped radio with improved performance and features. Although the ATS-405 is not a top of the line radio, it nevertheless is a bold step for Sangean in that there are now dedicated keys that let you turn off Soft Muting and Tuning Muting – this is exactly what we have been waiting for. 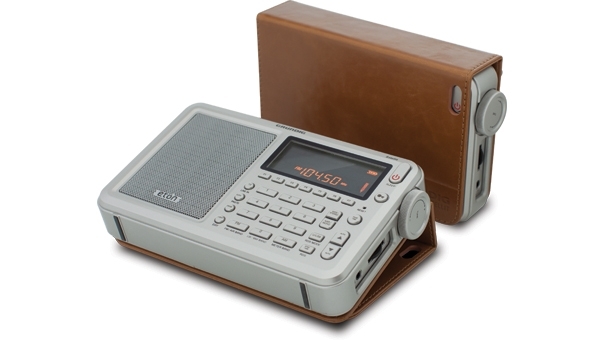 The new Traveler III replaces Grundig’s popular G8/Traveler II (aka Tecsun PL300WT). 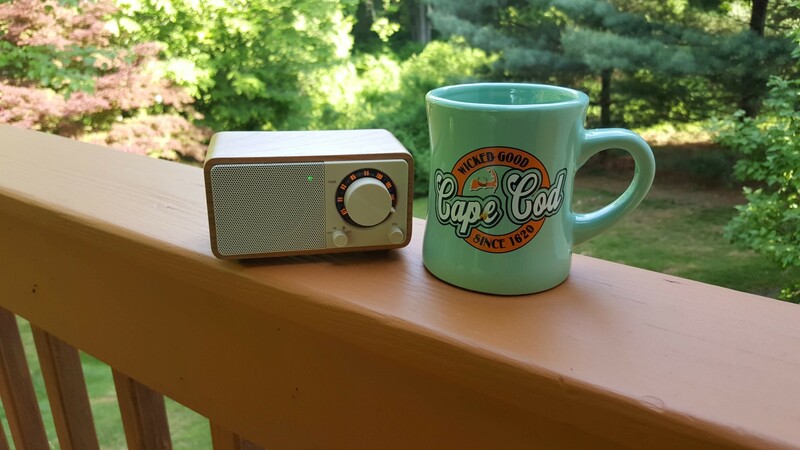 The original model was an instant hit and has become an Ultralight favorite…the new Traveler III is a much better AM radio than the earlier model but FM and to some extent SW seem to be just a slight step backwards..at least in my early production sample. But as an AM lover I am impressed by this new radio and think you will be too…read the full review here. 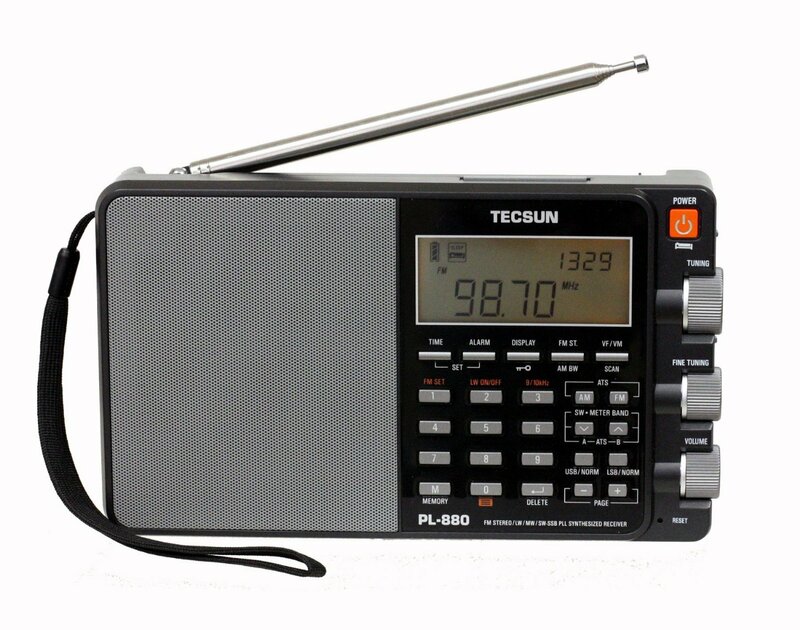 The Tecsun PL-880 is a worthy follow-up to their popular and capable PL-660 (which is still available). Most notable in the PL-880 is a new technology speaker which gives the radio a far more natural and pleasing sound quality than that usually found in radios of this size…it sounds just amazing when compared side by side with the older model. There have been some real upgrades to performance in almost all areas but the new model also features at least one step backward…we’ll check that out as well. 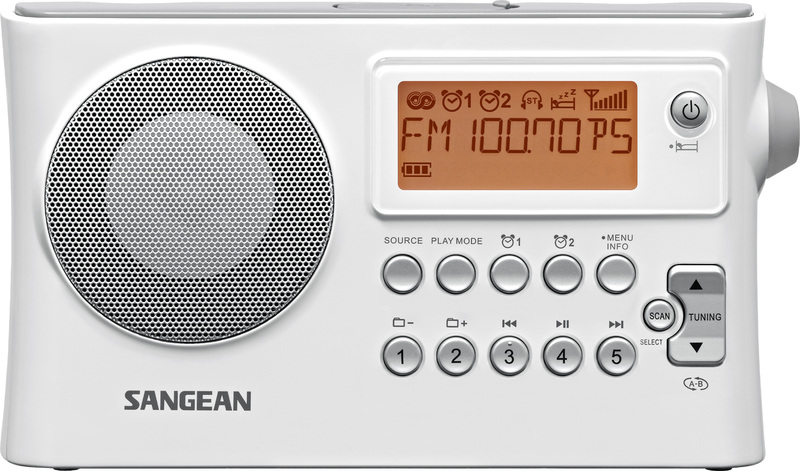 This new model has many extra features which are accessed via hidden menus…this allows far more control over the operation of the radio than usual but adds some complexity for the less sophisticated user. I will list the important ones so you can just set them and forget them. For most users this will be totally satisfactory but if you want to delve more deeply into every aspect of the radio’s performance you have that option as well. 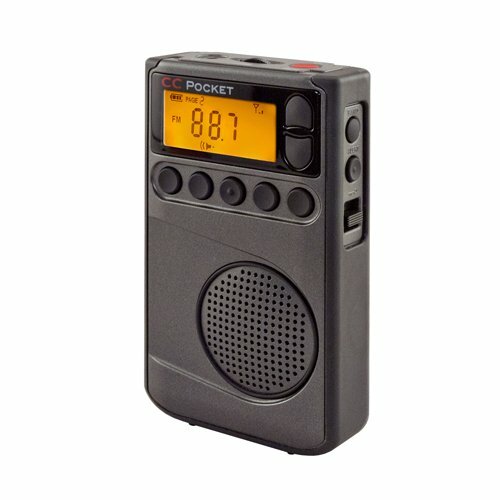 For the past month I’ve been using C.Crane’s latest update to their flagship AM/FM portable radio – the CC Radio 2. This revised version is called the CC Radio 2E Enhanced and I’ll tell you right now, it is an immense step forward – most noticeably in its AM sound quality, but in several other respects as well. C.Crane has redesigned the radio’s circuits around an entirely new chip, so although the new version looks outwardly identical to the older CC-2 the radio has been thoroughly revamped and the results are impressive. At $59.95 the CC Pocket is slightly less expensive than the well-known Sangean DT-400W…how do they compare? Here’s a complete review. Also note C.Crane is currently throwing in a FREE pair of Voz Premium Wooden Earbuds which sell separately for $19.95. 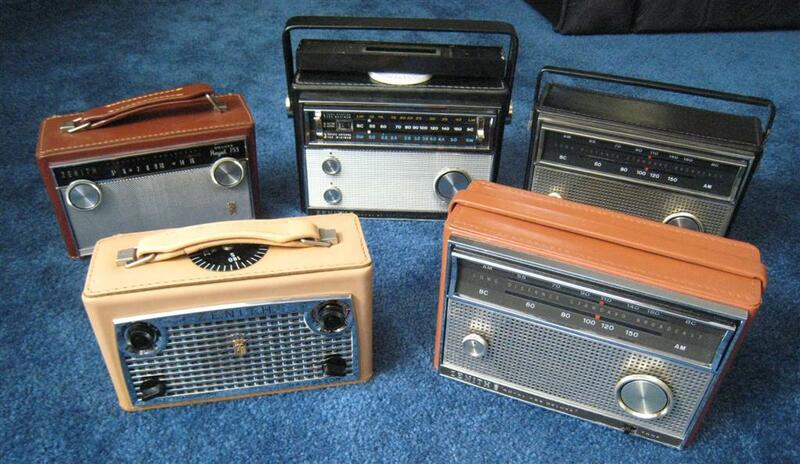 In the late 1950’s and early 60’s transistor radios were the new rage. We kept them with us as often as we could…they went everywhere with us. In November of 1955 Zenith entered the game with their Royal 500, the first of a long line of radios that not only set the standard of performance, but would also become one of the most popular and most copied of all portable radios. We’ll check out the entire 500 series from the first, 7 transistor, hand-wired model through the pinnacle of the series, the Royal 500H. Then we’ll go inside a few of them and discuss what kind of work they generally need to be restored to original working condition, then we’ll compare them to some current day radios to see just how good they really are. 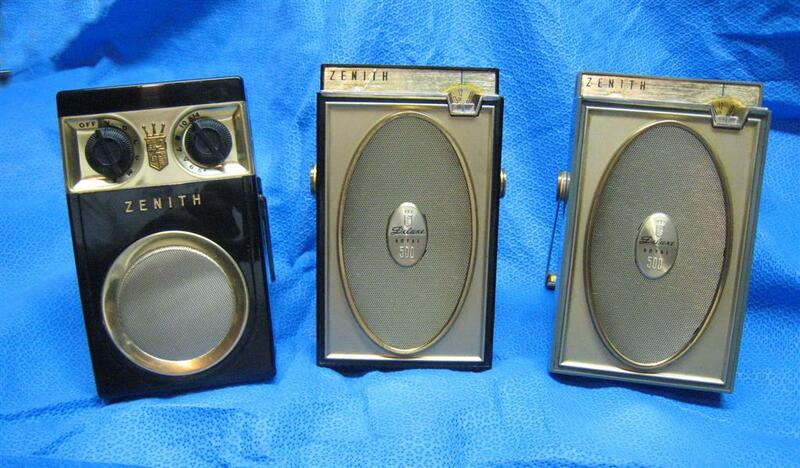 These were Zenith’s top-of-the line AM portables in the 50’s and 60’s. I’ll take you through the entire model line and we’ll restore a few of them to peak performance, then compare them with some other great AM radios to see how they compare – a fun look back at Zenith’s in its heyday!